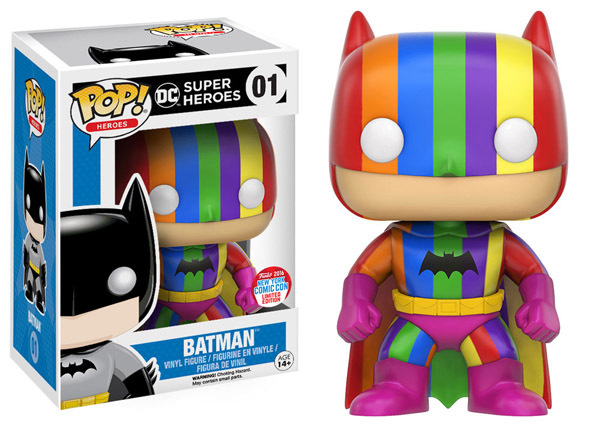 The Dark Knight becomes the Rainbow Knight with the Batman 75th Anniversary Rainbow Batman Pop! Vinyl Figure. 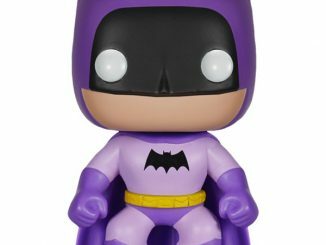 So you’ve been collecting the colorful incarnations of the Caped Crusader, with the Orange, Blue, Green, Pink, Purple, and Yellow Batmen now standing proudly in your Funko Pop! Vinyl collection. 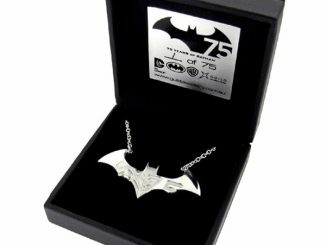 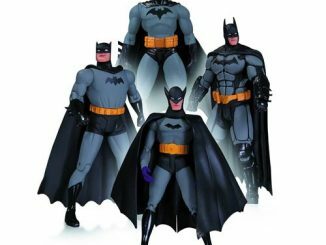 However, comic book fans know from reading the classic Detective Comics Volume 1 #241 that there’s one final costume. 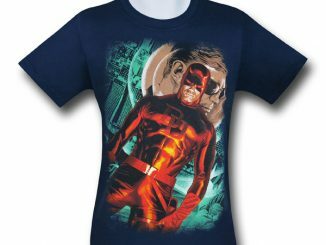 The costume to end all rainbow costumes… and it’s finally here. 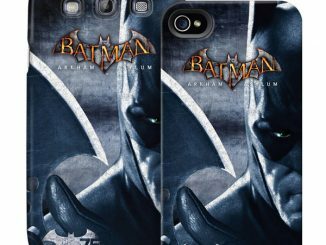 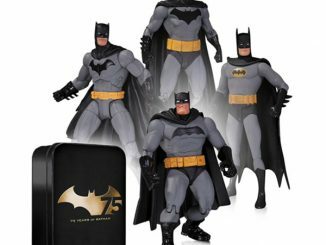 Standing 3 3/4-inches tall, the Dark Knight becomes the Bright Knight with this colorful protector of Gotham City. 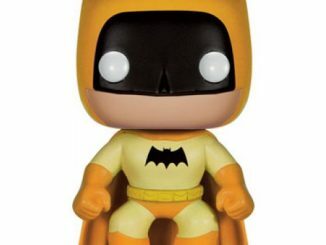 The Batman 75th Anniversary Rainbow Batman Pop! 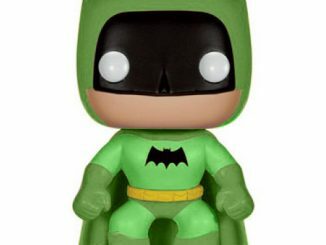 Vinyl Figure is available for $15 at GameStop.